Unfortunately the video that inspired this post has been withdrawn. This picture is modified from Bachhaus Eisenach’s picture on the creative commons. You can reuse it according to the license you can find there. The choir of St. Thomas Church in Leipzig is one I definitely want to hear. I’ve almost decided now – whether or not I think my budget is where it should be – that next year I really am going to have to go there before I turn fifty. A week or so ago I found this wonderful YouTube clip. There’s a whole concert indeed (a rarity on YouTube), and given that Google has sold out to the Performing Rights’ people, and YouTube videos will shortly be going behind paywalls and those uploading them will have to “clear” them automatically before the upload (“clear” being these people’s euphemism for “pay”) I think you had better enjoy this while you can. The Wachet Auf Cantata by J.S Bach BWV 140 has a special significance for me. I have one of those memories that is in the “read only” section of my brain. 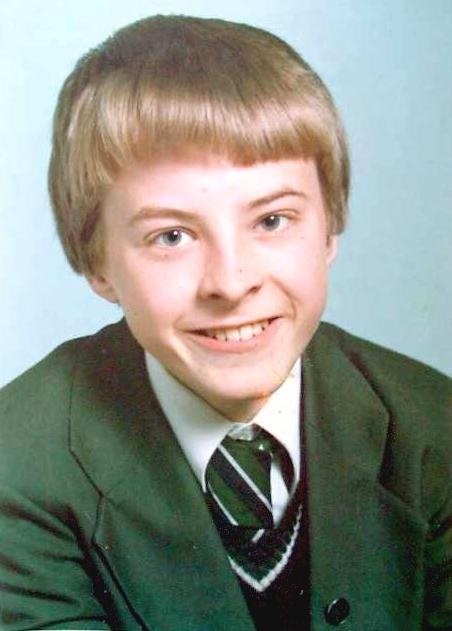 On Monday 10th December 1979, I was transferred to the former Adwick School, just before my fifteenth birthday. My first music lesson began at 1.20 pm and lasted until school ended at 3.20 pm. I even remember that this lesson was in the school’s “periods” five, six and seven. This was the work our teacher, Mr Ketley was teaching. Every single time I now hear Wachet Auf my mind goes through a mental wormhole – and I find myself transported back in time to his class that very day! It is an association that hasn’t just appeared this year now that our poor school has been razed to the ground. When I went to the former Polytechnic in Huddersfield, I would make references to it in my compositions. In 1989, at the end of my first year, we had to write string quartets, and the Music Department brought in professional players to have them performed. I placed my Wachet Auf reference bang in the middle of mine; or more accurately, I put my Adwick reference there, since that is what it has become for me. This is a lovely video, but I do fear that the new rules will mean we shall get less of them. So enjoy it while you can! Me – In Adwick Uniform! This blog now uses the same colour scheme. For all that our school has been disparaged (mainly by those who went there after I did), and for all that its former uniform was so poorly regarded that it was already mainly lost by the time it was abolished, someone clearly is impressed with the new look of this blog. If WordPress statistics are accurate, there has been a huge leap in my popularity. I have never had the hundreds reported by my colleague Jon Blamire, but this blog has been doing a lot better since its re-brand this Autumn. It is not unusual now for me to have two or three “likes” a day – and since I changed the style sheet last night, barring anything other than my school colours in the main body of text, I have not only had six likes – but five people have followed me! This is in the space of 24 hours! More importantly, the site is pulling about 25-30 views a day, and the trend is going up. So I’m more than happy. I have made no secret of the symbolism being used on this re-branded blog, so someone clearly likes the (school uniform) green, white, and black colour scheme (grey was an option for girls at Adwick). However shoddy some may have thought it, in my day it was smart. Those liking this blog must think the same of it now, reused for the colours you see here. AS for you that don’t… I have already warned everybody that I will unashamedly be bringing Adwick School to the fore at this rather poignant time. I’m going to mark its end, because somebody has to. I’m also going to speak well of the place too for the same reason. I suggest you come back sometime next year!